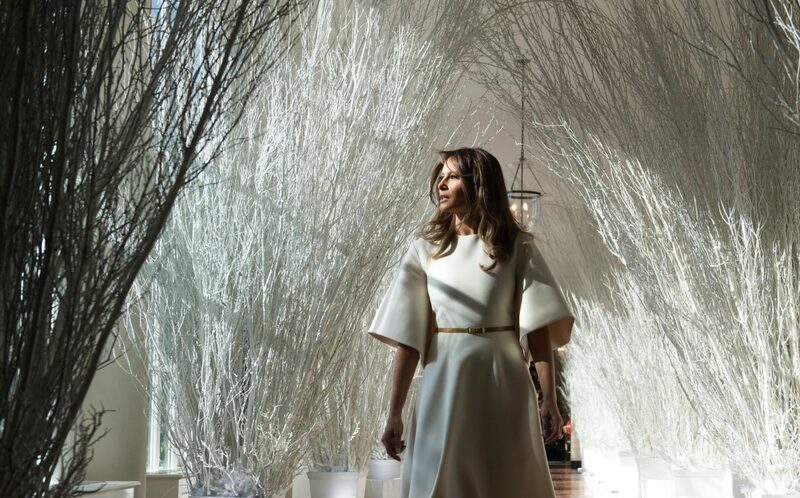 27 Nov 2017 Washington, D.C. 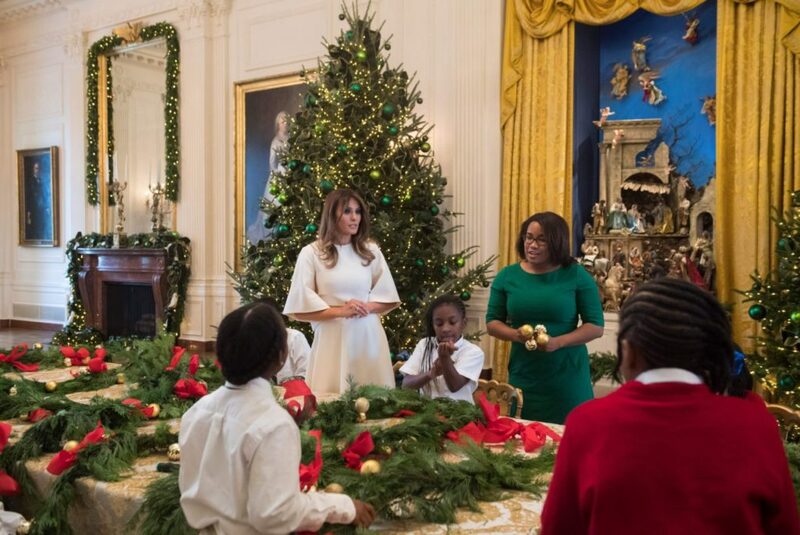 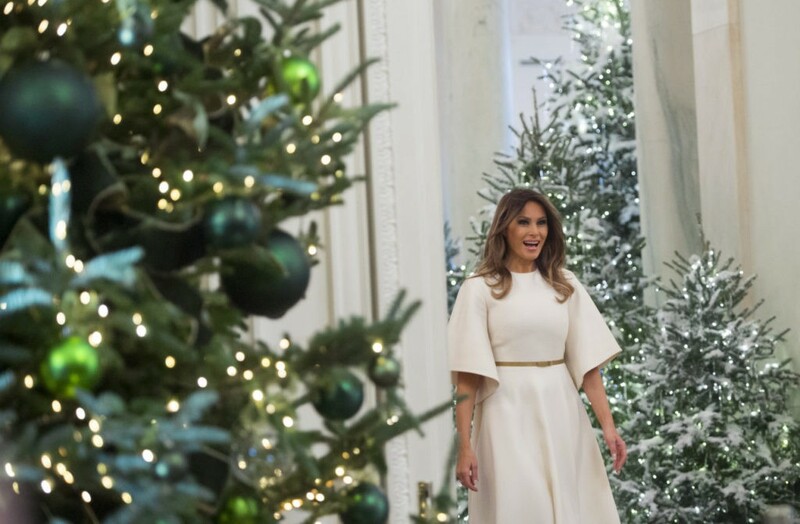 Schoolchildren at the White House were reportedly in awe of First Lady Melania Trump as she greeted them during a ceremony for the unveiling of Christmas decorations that she helped design. 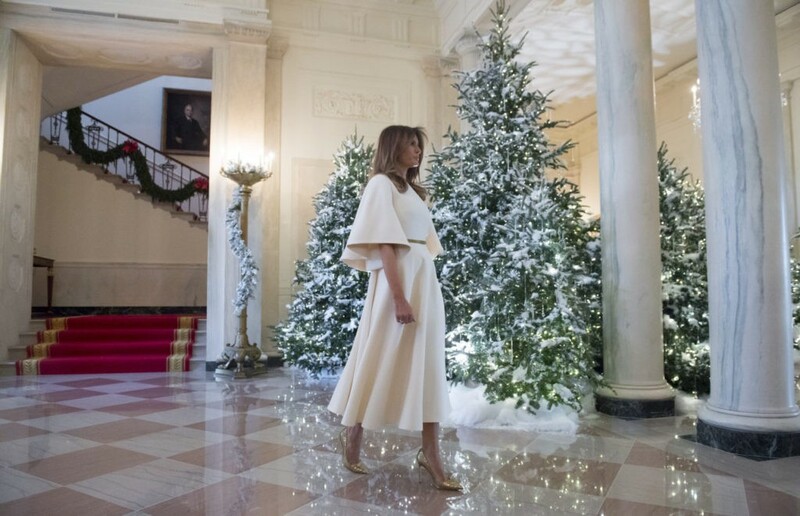 “She looks like an angel,” one child reportedly said as Melania was embraced by a handful of schoolchildren when she emerged in the White House wearing a caped Christian Dior dress and a thin, gold belt to accent her small waist. 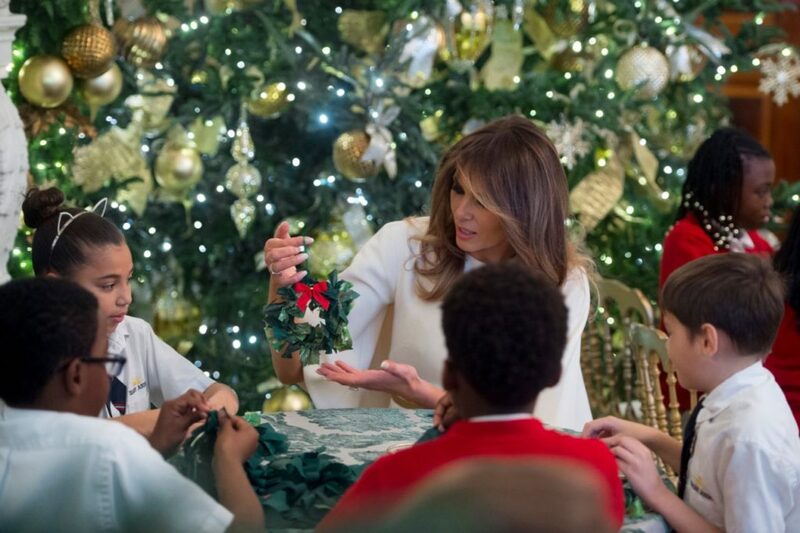 “She seriously looks like an angel,” one of the children said as they greeted Melania. 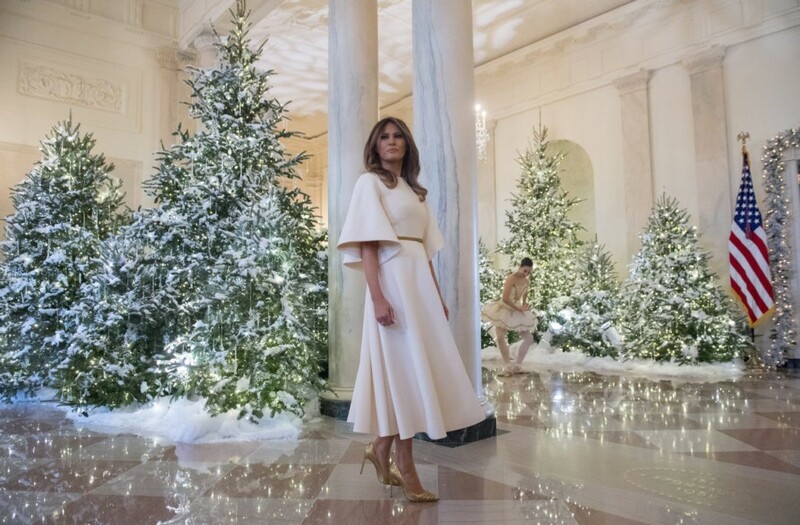 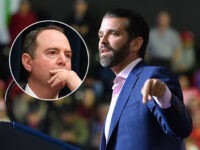 “Are you the first lady? 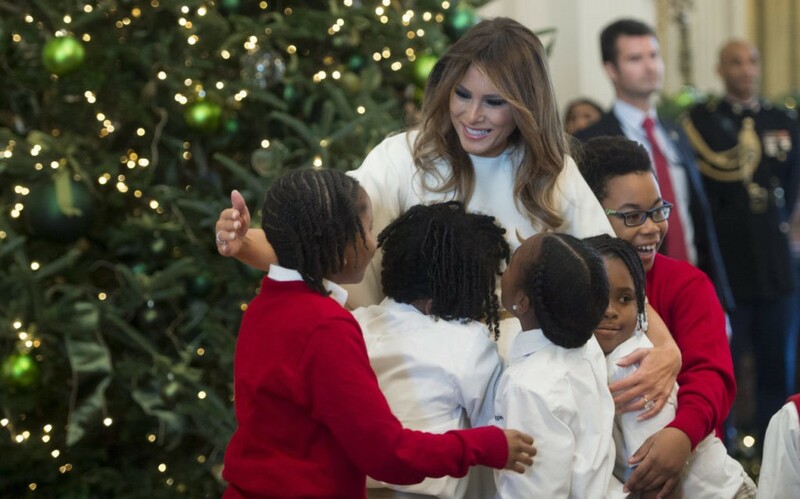 !” a boy asked as he embraced Melania Trump during a White House Christmas event. Breitbart readers may recognize Melania’s Dior dress from her trip to Tokyo, Japan. 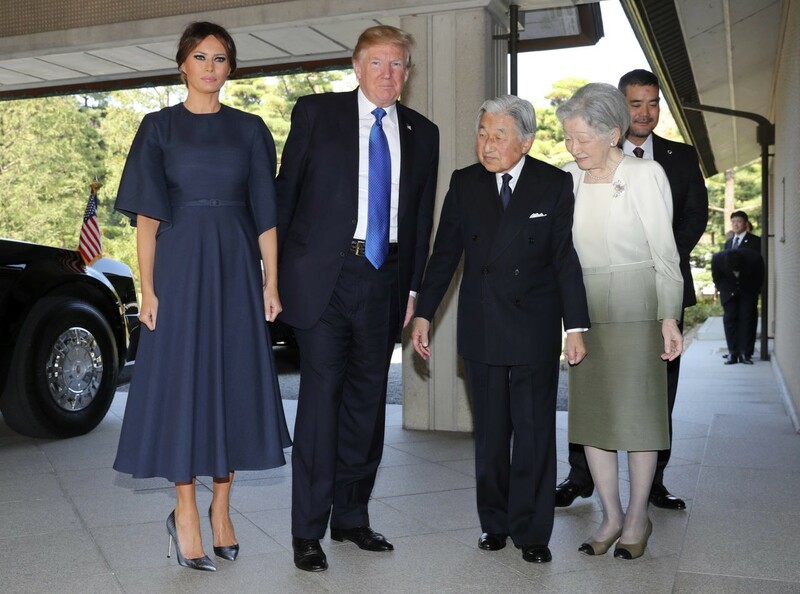 Melania wore the dress in navy blue when she visited Japanese schoolchildren earlier in the month, pairing the dress with a pair of metallic snakeskin Manolo Blahnik stilettos.